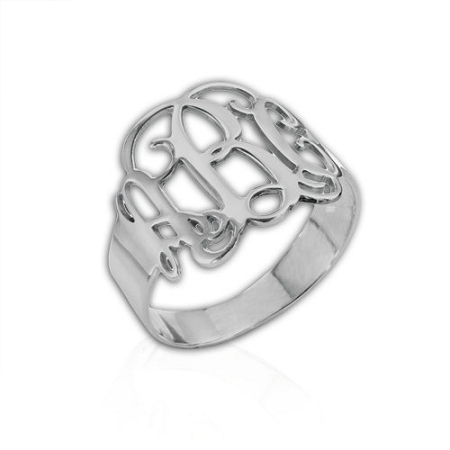 Sterling Silver Monogrammed Rings are the perfect touch to complete your monogrammed jewelry collection! Details: Width: 0.13" / 3.5 mm Thickness:	0.03" / 0.9 mm Height of letters:	0.62" / 16 mm Available in sizes 5-13. See photo above to determine ring size if you don't already know.